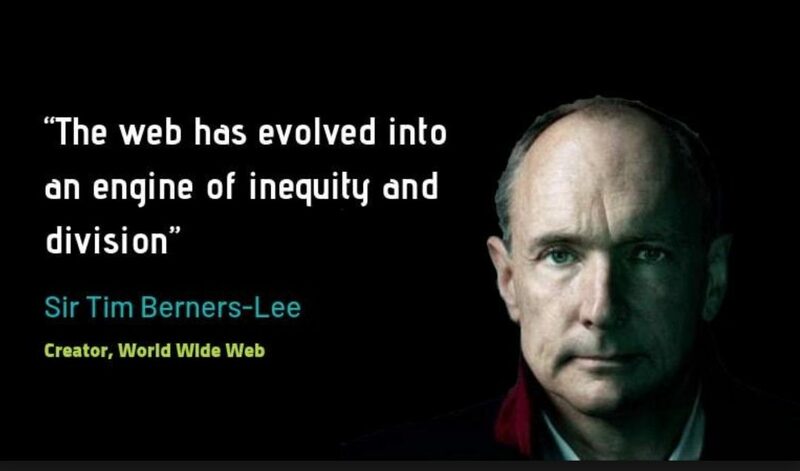 Global action is required to tackle the web’s “downward plunge to a dysfunctional future”, its inventor Sir Tim Berners-Lee has said in an open letter published on 11th March. On the World Wide Web’s 30th birthday, the web inventor reflected on how the web has changed our world and what we must do to build a better web that serves all of humanity. At Ellern Mede, we know it is very important to protect young people who are vulnerable to eating disorders and other forms of self-harm, from some social media sites which can promote this. We have a strict, supervised internet usage policy for our patients, with controlled access which helps to prevent access to harmful sites. Families would be well advised to exercise parental control over internet usage in their homes, and although this is well known, Sir Tim Berners Lee’s letter is a stark warning that something intended for good has, and may continue to pose a danger unless radical change happens now. He stated: “While the web has created opportunity, given marginalised groups a voice, and made our daily lives easier, it has also created opportunity for scammers, given a voice to those who spread hatred, and made all kinds of crime easier to commit. Among many examples of web misuse he discusses he mentions online harassment and ‘polarised tone and quality of online discourse’. It is very important then that we do everything we can to teach young people a healthy scepticism towards the information they read online and encourage their ability to choose not to participate in harmful discourse; how to block people who harass them, and to speak openly about online bullying. You can read more comment on Sir Tim’s views in BBC News.